George is a Glaswegian bus driver who falls in love with Carla, a troubled refugee from Nicaragua. When George hears of Carla’s experiences, the pair travel back to Nicaragua on a resolute mission to find Carla’s former lover, who has disappeared in the country’s brutal civil war. 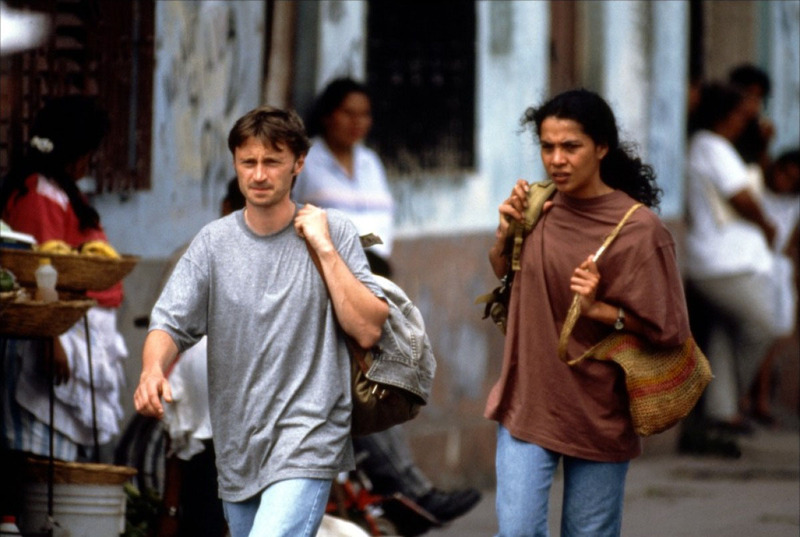 Carla’s Song features a charismatic performance from Robert Carlyle, and a striking one from Oyanka Cabezas, who was cast as Carla despite not being able to speak English. The film evolved from the first script written by Paul Laverty, a former lawyer who was encouraged by Loach to write after relating his experience of working with human rights organisations in Nicaragua. The pair have formed a potent creative partnership since.